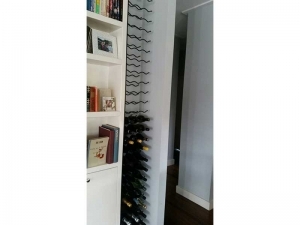 Wall mounted wine bottle rack accommodating 36 x 750ml wine bottles (12 bottles high x 3 bottle deep). 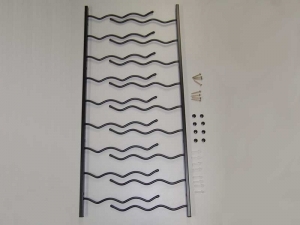 Manufactured from steel tube and rod - powder coated matt black. 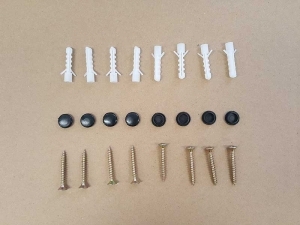 Hardware supplied - view images. 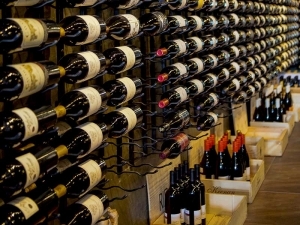 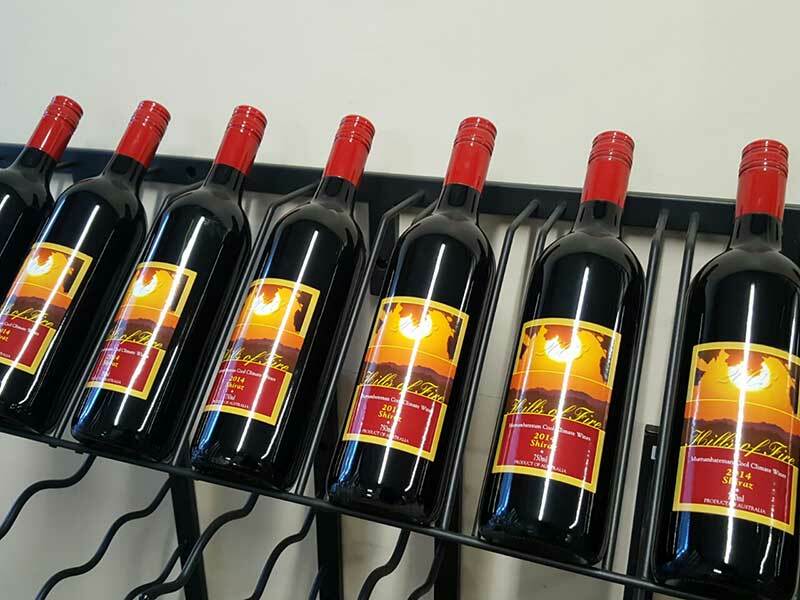 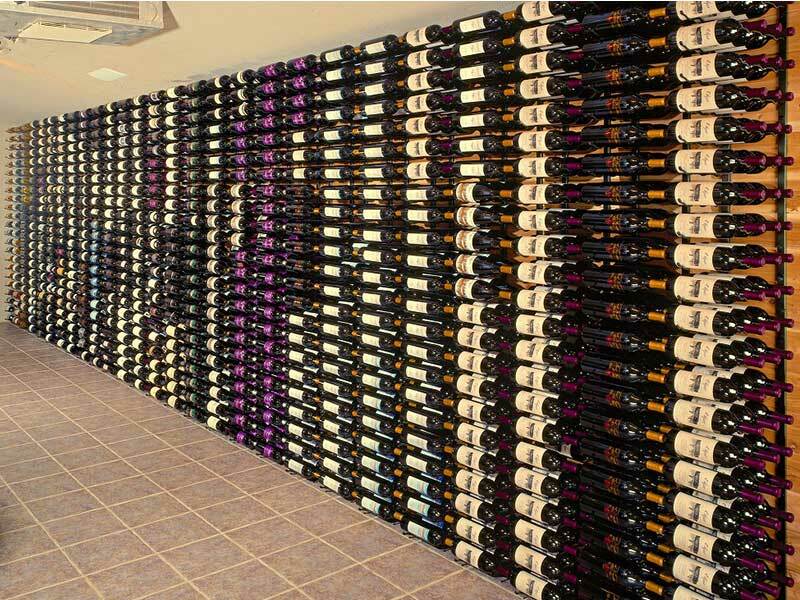 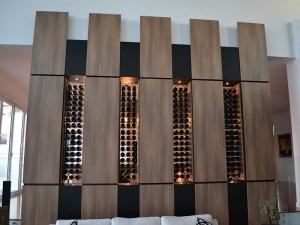 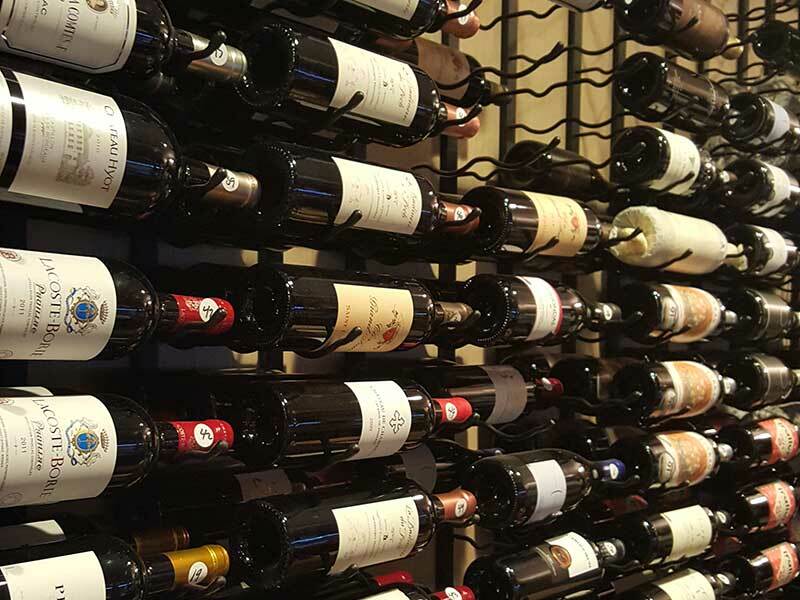 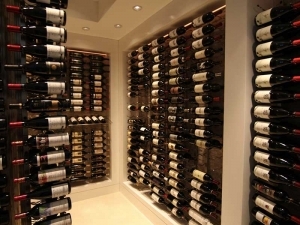 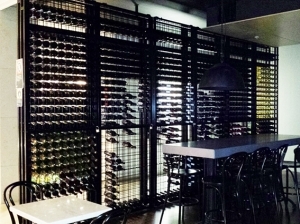 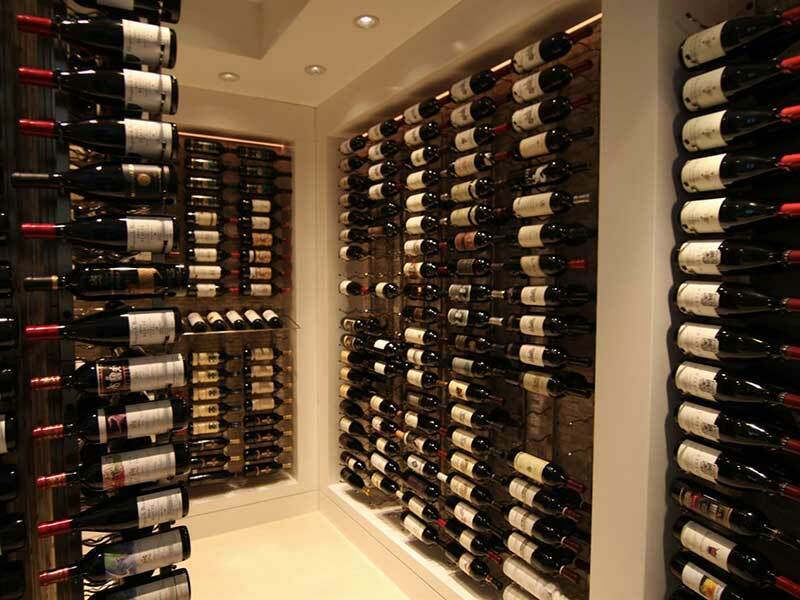 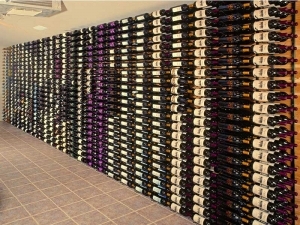 Strip Wine Racks are easily installed on any type of wall.